Before you apply, please contact us so that we can help you craft a winning proposal. There is a huge controversy in heliophysics/stellar astrophysics over the composition of the Sun. This might be surprising, given how well we (think) we understand the patterns of abundances in the Solar System, and how well we can study the Sun’s photosphere, but it turns out there’s a fly in the ointment. The Standard Solar Model has been a high point in stellar astrophysics for decades. Helioseismology provides data that confirms the model to very high precision, with a tiny disagreement at the base of the convective zone, where the physics gets tricky and uncertain. This model includes a detailed map of the abundances of the elements as a function of depth in the Sun. Martin Asplund, scourge of the Standard Solar Model. 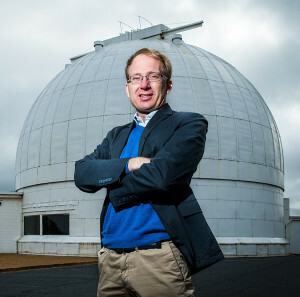 Then, along comes Martin Asplund who carefully measures the abundance of elements in the Solar atmosphere with unprecedented care and detail, and he finds that some elements, in particular oxygen, have had their abundances overestimated by a lot. This created, as the physicists like to say “tension” between the models and the data. One solution to this problem is that the new abundances are wrong. Another is that the Standard Solar Model has been wrong for decades, with offsetting errors that gave us a false sense of precision. The problem with this solution is: what’s the other offsetting error? Steinn Sigurdsson pointed me to an intriguing possibility: maybe the Sun was more massive when it was young? This would have had many effects, including a larger buildup of helium in its core that would be inconsistent with helioseismic measurements. But now that Asplund has “broken” helioseismology, maybe there’s some room to play here? There’s not a lot of room to play with this: Brian Wood has been measuring mass loss in young stars and finds it’s too small to have much effect. But those measurements are pretty uncertain, and the payoff here is big: the insolation of the planets goes as the fifth power (!) of the Sun’s mass (two powers from holding the planets closer and three from higher rates of fusion) so even a 1.01 solar mass young sun would have an important effect (5%) on their received flux when they were young. In particular, a major problem in planetary science is the “Faint Young Sun paradox”: the young sun was 25% fainter than today, so how could early Mars and Earth have had liquid water?! Perhaps this is part of the problem? This is not a new idea; Sackmann and Boothroyd discussed it 13 years ago. But with the new Asplund abundances (and Bailey opacities) it’s time to revisit the problem. Even if the young sun was faint, it was very active. The repurposed Kepler mission K2 has been observing stars across a range of ages, seeing how their flare rates and energies vary with stellar age and mass. These are important inputs for models of the young Earth and Mars: high energy particles can have a big effect on young planets’ atmospheres. Indeed, NExSS PI Vladimir Airapetian had a nice result on this recently with respect to the Faint Young Sun paradox. 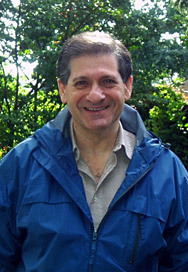 Anthony Del Genio of the Goddard Institute for Space Studies is interested in extending the GISS ROCKE-3D global climate model to early (Archaean) Earth, and the inputs for that model include the spectrum of the Sun at early times—a spectrum K2 will help us understand, and that depends on the mass of the Sun at that time. Are you a recent heliophysics or astrophysics PhD that would like to help is with this problem? Please consider applying to our NPP opportunity by July 1. The arrangement we have in mind is that you will work at Penn State with me primarily, co-advised by Tony (including trips to GISS to work on the climate modeling side). If you are going to do this, please get in touch with us directly so that we can help you craft a competitive proposal to NASA. I hope to see you at Penn State! This entry was posted in science, Uncategorized and tagged science on June 2, 2016 by jtw13.